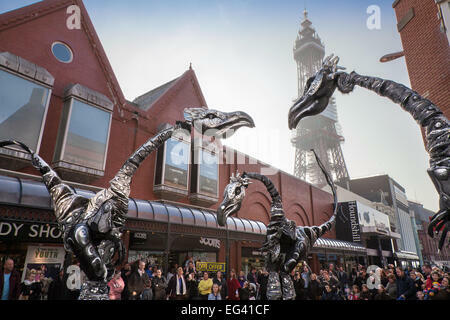 Velociraptors at Blackpool, Lancashire, UK. 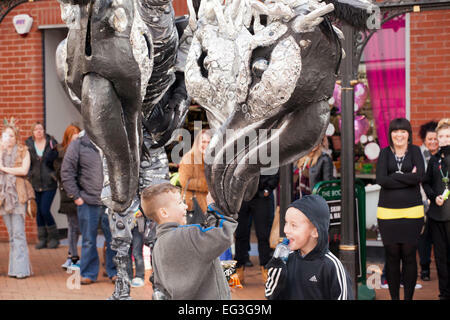 Close-Act Theatre is an international street theatre company using costumed Velociraptor stilt-walkers outfitted in 18-foot-tall dinosaur-like 'Saurus' costumes. 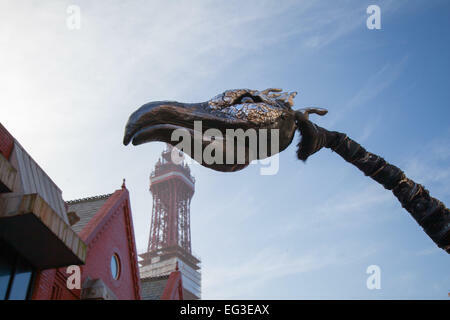 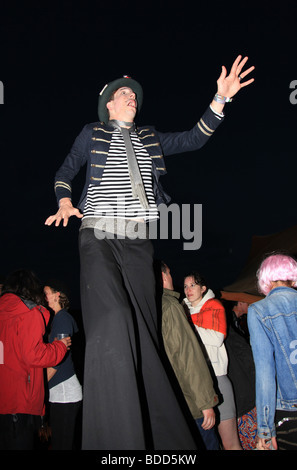 Blackpool’s annual festival of Circus & Performance Showzam! 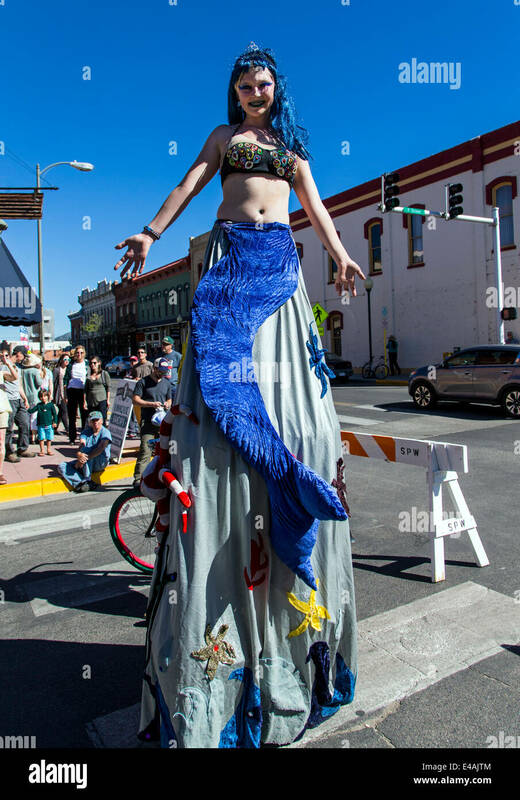 LeftCoast working in partnership with Visit Blackpool present “Circus Town” a half-term attraction highlighting the best circus companies, performers & entertainers from the UK. 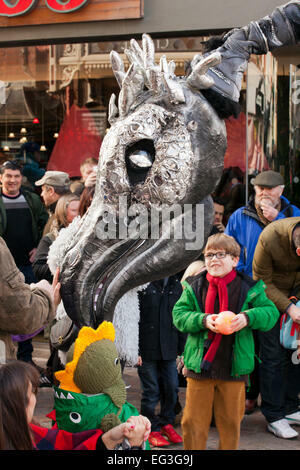 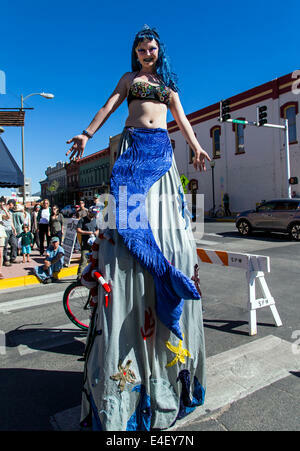 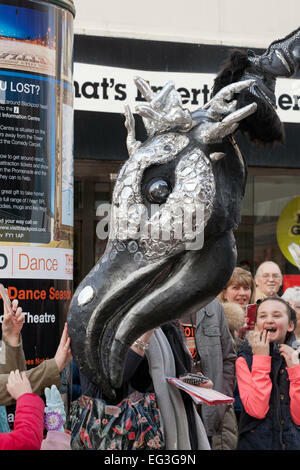 More than 40 separate performances take place on the streets for the town’s annual February Festival of Fun. 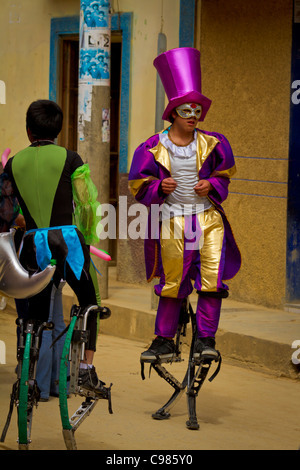 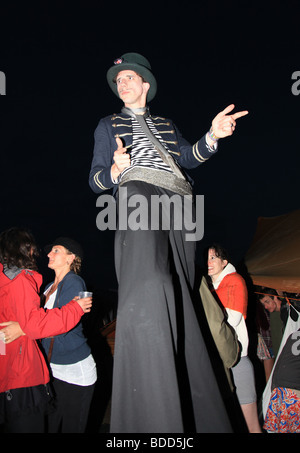 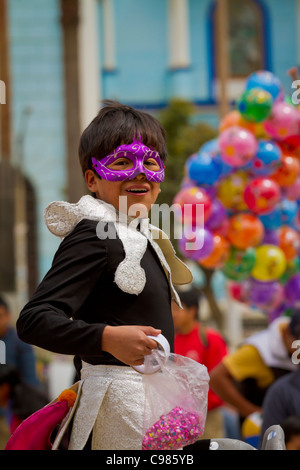 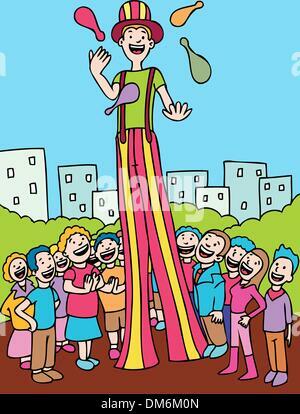 Acrobats on bouncing stilts entertain the crowds in a street parade in Celendin, Peru.